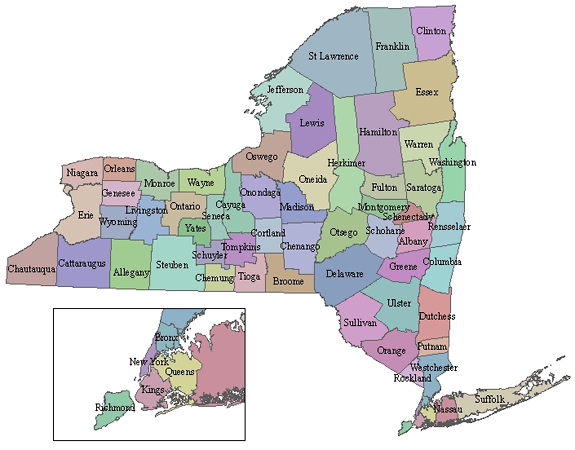 The Democratic Rural Conference drew nearly all of New York State’s major Democratic elected officials to its 2018 annual meeting, with Governor Andrew Cuomo, Lieutenant Governor Kathy Hochul, NYS Comptroller Tom DiNapoli, NYS Attorney General Eric Schneiderman, NYS Senate Democratic Leader Andrea Stewart-Cousins and U.S. Senator Kirsten Gillibrand leading the elected attendees. Rep. Paul Tonko, Rep. Sean Patrick Maloney, NYS Senator Michael Gianaris, Buffalo Mayor Byron Brown and NYC Council Member and candidate for lieutenant governor Jumaane Williams also attended. The DRC is composed of Democrats from small counties who for the past 20 years have worked jointly to increase their impact in state politics. Governor Andrew Cuomo offered interesting introductions of some political friends and frenemies today. 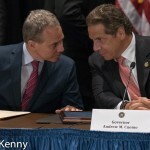 As he began his State of the State tour today in Manhattan Cuomo noted the presence of Attorney General Eric Schneiderman (“doing great work with us, please stand”), Comptroller Tom DiNapoli (“doing a great job”), NYC Mayor Bill de Blasio (“let’s give him a round of applause”) and NYC Comptroller Scott Stringer (“doing a magnificent job”). He’s had significant friction with Schneiderman, although they’ve had a much more cooperative relationship in the past 18 month, a fraught relationship with DiNapoli since Cuomo was attorney general and a dizzyingly difficult relationship with de Blasio. Perhaps due to an apparent cold/sore throat, Governor Cuomo also referred to “Cardinal O’Connor” when thanking Cardinal Dolan for offering a blessing before Cuomo took the stage. 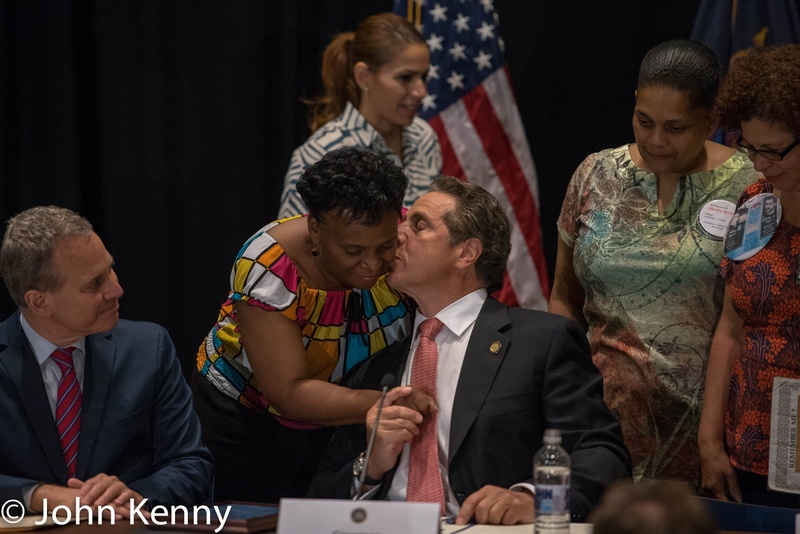 Cuomo was joined by a group of women whose sons have died at the hands of police, including Gwen Carr, mother of Eric Garner, Constance Malcolm, mother of Ramarley Graham, Iris Baez, mother of Anthony Baez, Valerie Bell, mother of Sean Bell and Hawa Bah, mother of Mohamed Bah, who have been the public face of the push for a special prosecutor. Cuomo recently met with them after Carr and Malcolm published an op-ed accusing him of “backtracking” on his promises. Today Governor Andrew Cuomo brought his campaign to a close with three rallies across the state. He kicked off the day in Manhattan with a very large labor-driven rally at the edge of Times Square. The rally marked Cuomo’s first 2014 campaign appearance with both Comptroller Tom DiNapoli and Attorney General Eric Schneiderman, each of whom are also up for reelection tomorrow. Kathy Hochul, multi-party candidate for lieutenant governor, was also part of the rally. Held out on 7th Avenue, the rally stretched at least two blocks (visible to me), with the Cuomo campaign reporting that the rally went for four blocks. It was a strong showing in support of the four statewide candidates, with many of the leading names in New York’s labor movement speaking. Among them were George Gresham of SEIU 1199, Stuart Appelbaum of RWDSU, Gary LaBarbera of the Building & Construction Trades Council, Hector Figueroa of 32BJ and Peter Ward of the Hotel Trades Council. Left unsaid by the labor leaders and candidates, however, was which party or ballot line they’re urging their supporters to choose in voting for all four candidates. All four are Democrats who also appear on the Working Families Party, Independence Party and Women’s Equality Party ballot lines. Cuomo has energetically pushed the “Women’s Equality Party”, a ballot line he created this year. Many see that effort as attempt to draw votes away from the Working Families Party, which counts many of the same unions appearing today as it’s core constituency. With the rally held a stone’s throw from the theaters of Broadway, it seemed fitting that Hector Figueroa set part of his rally speech to music. We’ve asked each of the Democratic and Republican candidates for governor, comptroller and attorney general for their positions on the three November ballot propositions. When I asked Governor Cuomo for his positions, on October 13th, he said that he had yet to take a position on Prop 2. We’ve included his October 23rd response to another reporter in which he gives a position on Prop 2. The New York Post recently published an allegation that New York State Attorney General Eric Schneiderman used cocaine on a specific occasion approximately nine years ago. (Schneiderman was a state senator at that time.) Today I asked Schneiderman for his reaction to that allegation. Schneiderman declined to give a position on any of the the propositions, citing his office’s role in drafting them. Cahill opposes the first and third propositions, creating a redistricting commission and approving the bond issue, but has not yet taken a position on the second proposition, allowing electronic bills in the legislature. We spoke with Schneiderman today in White Plains as he left a Schneiderman/DiNapoli campaign rally. We spoke with Cahill in Poughkeepsie on Tuesday. Gubernatorial candidate positions are here. Comptroller candidate positions are here. One lieutenant governor candidate’s position is here. This evening Kathy Hochul continued a full day of campaigning with an Upper West Side subway stop appearance. Accompanied by New York State Attorney General Eric Schneiderman, City Comptroller Scott Stringer, Congressman Jerry Nadler, Manhattan Borough President Gale Brewer and State Senator Brad Hoylman, Hochul greeted commuters at the 96th & Broadway subway station. 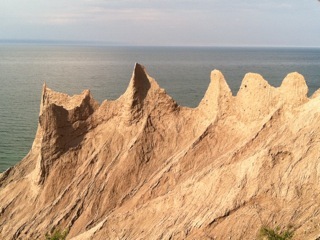 The candidates’ views on Israel have received attention recently. Yesterday Assembly Speaker Sheldon Silver and other elected officials, seemingly at the behest of Governor Cuomo, held a press conference to denounce what they see as insufficient support for Israel from Tim Wu and running mate Zephyr Teachout. In this clip Wu discusses his general views on Israel. (Wu is responding to a question from the New York Observer’s Will Bredderman). We spoke with Kathy Hochul about Israel this afternoon, available here. Here’s what happened when Conor Skelding (of Capital NY) and I asked NYS Attorney General Eric Schneiderman a few questions. Schneiderman represented the Upper West Side as a state senator. 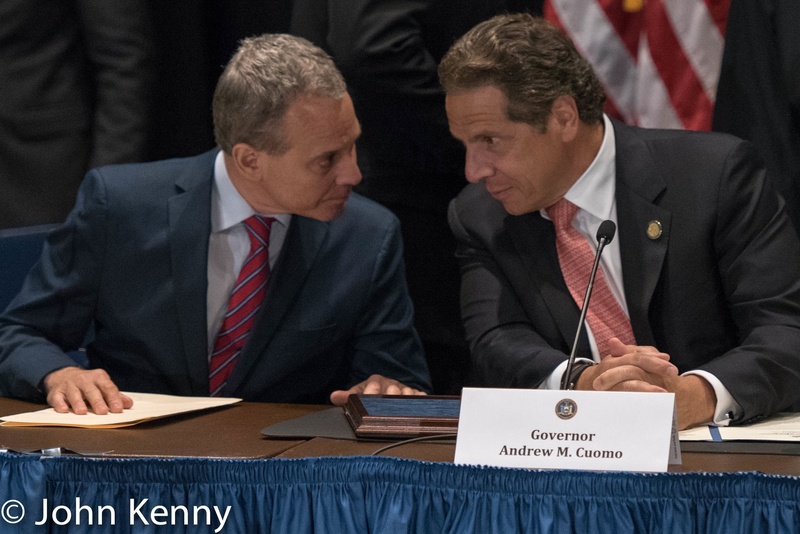 In July, New York State Attorney General Eric Schneiderman joined with Governor Cuomo in appointing a “Commission to Investigate Public Corruption” under the Moreland Act and Executive Law section 63(8), with Attorney General Schneiderman deputizing each of the commission members as a deputy attorney general. Doing so gave the commission a broader legal reach, as well adding the attorney general’s imprimatur to the governor’s effort.